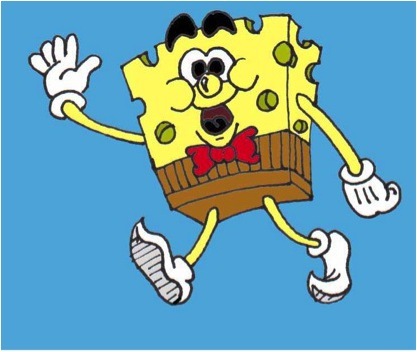 SpongeRob CubeJeans, an undeniably cut-rate SpongeBob SquarePants knockoff that was foisted upon a blanching public died Tuesday after an intellectual theft lawsuit filed by Nickelodeon. After being destroyed by the power of the state, CubeJeans was sent back to his home in Zucchini Bottom to hang with dimwitted pal Potluck Star, where he passed away in shame and isolation, rarely even summoning up the energy to belt out those derivative songs of his. Those wishing to give a donation in CubeJeans’ name can send their letters care of Squidroot at the Krunchy Krab.